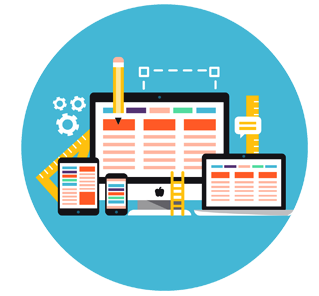 Whether you're starting a new web application website, or looking to add functionality to your existing web app, our goal is to provide the best professional web app web design solutions at an affordable price. With features such as scalable platform, API for mobile and social apps, e-commerce functionality, integration with third-party APIs, optional mobile apps, and admin control panel to manage different options and reporting, transactions are made easy for both website owners and customers. We have even developed a number of business software products which are used by many developers. The various online business applications we’ve developed are available on our product websites, www.iScripts.com, and www.AppReseller.com. These products include multi-vendor shopping carts, drop ship shopping carts, distributed e-commerce platforms, barter website software, peer-to-peer marketplaces, web-to-print platforms, SaaS applications and billing applications. We can customize these solutions for you or create something from scratch based on your requirements. One of the most critical aspects of web design is making sure you get exactly what you need to dominate the global market. Armia Systems is one of Chicago’s leading web design companies in the market for a reason with a proven track record in custom web design that sets us apart from the competition. 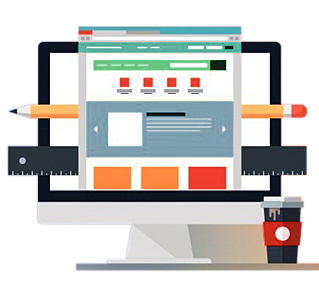 We understand that to make your internet presence noticeable, you need a dynamic, customizable web design as the foundation. This is one of the most crucial elements to web design, and Armia Systems can provide you with some of the most innovative applications out there. Whether you need a simple small-form handling routine and content management system for your small business, or a complete enterprise-level application for your professional corporate website, our web development team is the best at what they do and can create a unique web design that will provide you with the ultimate business solution. Here at Armia Systems, our goal is to take your idea and meld it with our custom web design process. Today, there is no such thing as a local market. The entire world is now local, and with global access there comes global opportunities - our team is ready and waiting to develop your website so that you can conduct business 24 hours a day, 365 days a year. Our custom web design packages are based on your needs to keep your business at the top of the global market. Our team is ready to handle any web development projects. Whether you are building an online business, e-commerce website, a corporate website, or just a new web app, we can help. Our web developers and programmers are capable of working with a variety of complex programs and applications ranging across diverse programming platforms and languages. They are ready to integrate advanced database technologies with efficient interfaces that provide your visitors with an unmatched, unique experience in interactivity, usability, and customization. You can view live websites created for our clients on our portfolio page.